S.N. 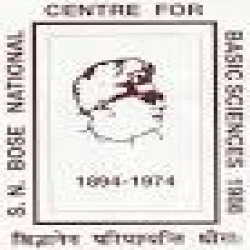 Bose National Centre for Basic Sciences (SNBNCBS) is an autonomous research institute dedicated to basic research in mathematics sciences under the Department of Science and Technology of Government of India. It is located in West Bengal, Salt Lake, Kolkata. This institute was Named after the Indian scientist Satyendra Nath Bose and established in 1986. Prof. C. K. Majumdar was the founder director of this institute.